Invitation for T-SQL Tuesday #39 – Can you shell what the PoSH is Cooking? In case you’ve been hiding out in the desert, oblivious to all that goes on, there is a monthly force that comes out for a party on (normally) the second Tuesday of each month. It was started by Adam Machanic (blog|twitter), and is hosted by a different person from the SQL community each month. Your blog post must go live between 00:00:00 GMT Tuesday, February 12, 2013 and 00:00:00 GMT on Wednesday, February 13, 2013. Your post has to link back to the hosting blog, and the link must be anchored from the logo (above) which must also appear at the top of the post. Help spread the word! by including “T-SQL Tuesday” in the title of your post. Tweet! your blog post with the hashtag #TSQL2sday – again to spread the word. Host! If you’ve participated in two T-SQL Tuesdays, and you blog at least once a month, then you are the type of blogger that Adam is looking for to be a host – just contact him to volunteer. Thanks again for this topic: I enjoyed it! #1 | Pinged by T-SQL Tuesday #39: Get Role Members With PowerShell | sql salt about 6 years ago. #2 | Pinged by Script SQL Server Agent Jobs Using PowerShell about 6 years ago. #3 | Pinged by Las Vegas February 2013 UGSQL RNNR | SQL RNNR about 6 years ago. #4 | Pinged by T-SQL Tuesday – Powershell and Perfmon Results – #TSQL2sDay | Strate SQL about 6 years ago. #5 | Pinged by Allen White : T-SQL Tuesday #39: Managing your SQL Server Services with PowerShell about 6 years ago. 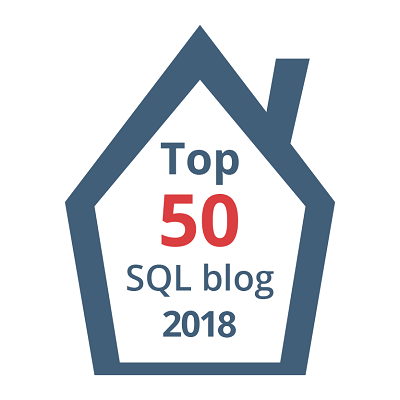 #6 | Pinged by T-SQL Tuesday #39: More Efficient SMO with Server.SetDefaultInitFields | Ben Miller (@DBAduck) about 6 years ago. #7 | Pinged by T-SQL Tuesday #39 – Set file permission with PowerShell « DBA Journey about 6 years ago. #8 | Pinged by T-SQL Tuesday 39: SQL Server, PowerShell, and AWS | Matt Velic about 6 years ago. #9 | Pinged by T-SQL Tuesday #39 – Can you shell what the PoSH is Cooking? | SQL from the Trenches about 2 years ago. #10 | Pinged by T-SQL Tuesday #039 – Can You Shell What the PoSH is Cooking? – T-SQL Tuesday about 2 years ago.